JS Teamwear is a leading provider of Corporate, Event and Teamwear. JS Teamwear is a leading provider of Corporate, Event and Team Wear, and according to Facebook reviews ‘friendly and approachable’. A personal touch brings a fresh approach to the customer’s requirements; we do not sub contract any of our work, and as such we have very high quality control standards. There’s no minimum orders with us either, so if you need 1 or 101, then that’s fine with us. Business partners Sarah and Jane have a unique relationship. They have not only been friends for many years but bring individual skills that complement harmoniously. 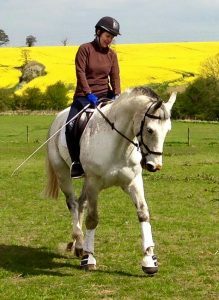 They have over 10 years combined experience in the equestrian wholesale market. This means they can provide specialist assistance in the equine wear arena with links to manufacturers in the UK and overseas. This experience has been gained producing such items as Winners Rugs for high profile events like the Royal Windsor Horse Show and Burghley and for Organisations such as the FEI and HOYS; promotional merchandise for up and coming and established businesses alike such as Bloomfields Horseboxes and Caviera Bedding; and Uniform for Hartpury College. Sarah’s previous incarnation as Merchandise Manager for TAGG equestrian has formed in depth knowledge of garments, products, manufacture and textiles. This means that only tried and tested stock is used and she oversees production in the in-house embroidery and print room. Since she was in direct charge of producing Equine wear for Team GB for the Rio Olympics she has developed an eye for quality that is second to none. Jane on the other hand is never happier than when doing admin and accounts. She is also charged with the responsibility of logo development and PR. 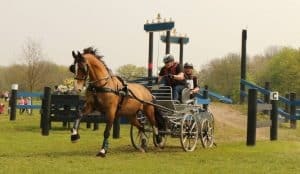 She brings a wealth of experience from equestrianism being a Team GB competitor herself, albeit with the off the radar sport of Carriage Driving. Whilst it may look like we only ‘do horsy stuff’, every skill that has been learned can be applied to pretty much any area of life… want a hen party outfit? We can do that. Aprons for your new restaurant? We can do that too.